You know I’m not a coffee drinker. I do love the smell of it, just can’t bring myself to drink it, at least not without a lot of extras. To the point that it becomes more of a sorta-coffee-flavored cream. Which probably isn’t the point. Anyway, I’m okay with the flavor, as long as it’s tempered by something else, say, ice cream. 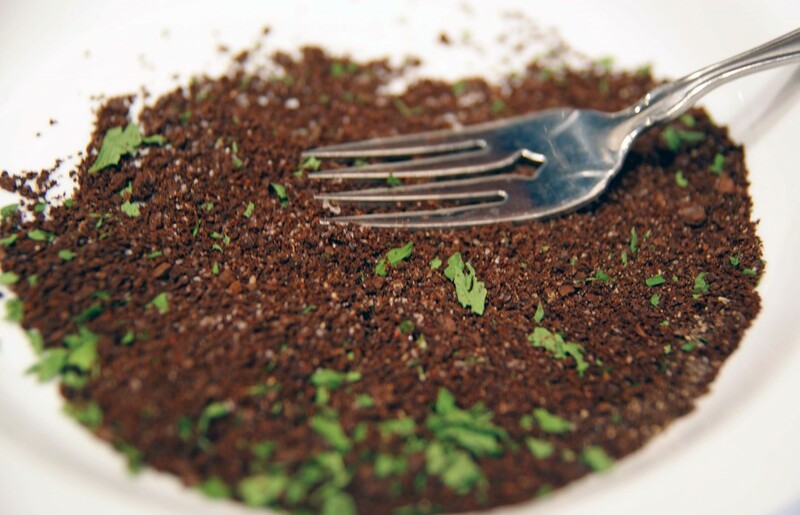 So last week when we pulled out a couple steaks for dinner, I thought about livening things up a little and using coffee for a rub, something that I occasionally see in restaurants. And just like that, a beautiful coffee rubbed steak was born. It packs a punch of flavor, so it’s probably best used on red meat, but feel free to try it on whatever. Of course, I didn’t actually measure anything when I whipped it up, but for recipe purposes, I’ll try to approximate it. I used this as a dry rub, but you could add a little oil and turn it into a wet rub. Mix all the rub ingredients together in a shallow bowl. 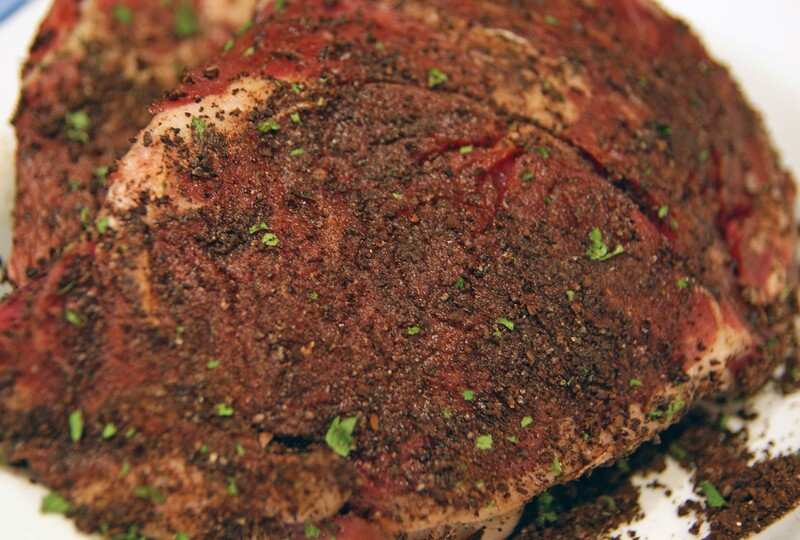 Coat both sides of the meat with the rub. Heat a swirl of oil in a skillet over medium-high. Add the steaks and cook for 4-5 minutes per side, flipping once. 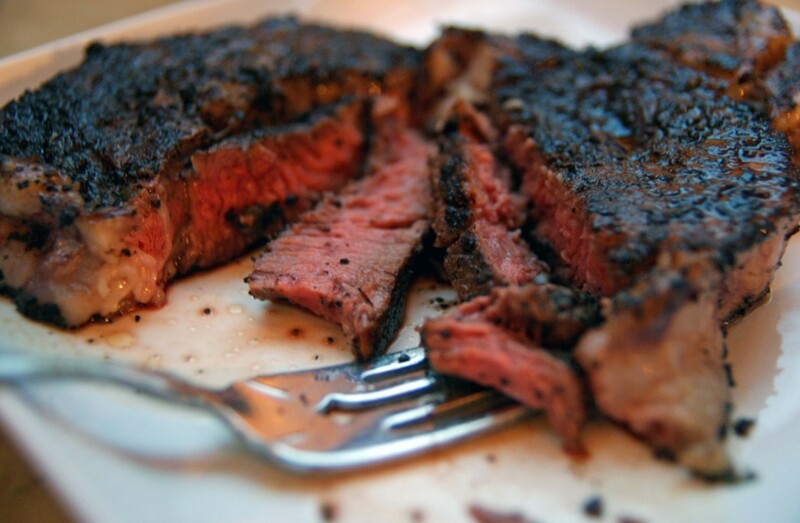 Remove the steaks from heat and let sit for 10 minutes.